To illustrate just how much we love you, we’re dedicating an entire day to you! 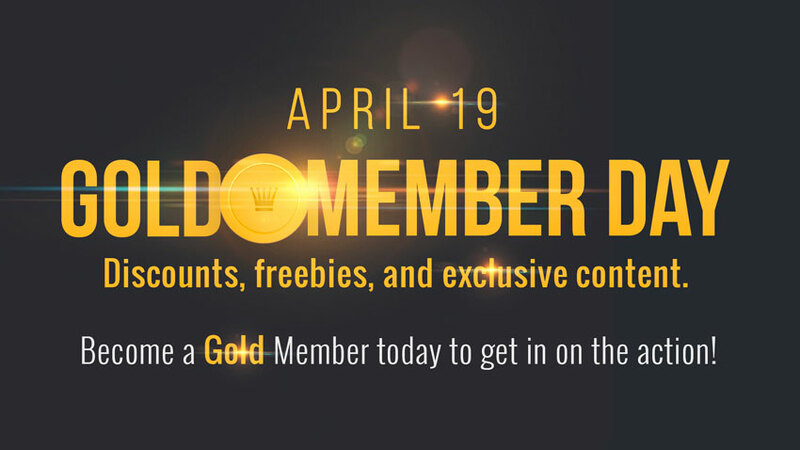 A day of freebies, exclusive content, and amazing discounts… JUST FOR GOLD MEMBERS. ALL 2018 Member Perks (Jan, Feb, March). This means everything downloadable a Gold Member has received this year is available in 1-click. This is for those who may have forgotten to download or for those who have just become a member (a $75 value). Six youth ministry-themed desktop backgrounds. That default background is old and out-dated…switch it out for one and be reminded just how much DYM loves you as you stare at your technological devices. Doug’s favorite resource: A reproducible (make as many copies as you want) workbook on Spiritual Gifts written by Youth Ministry Legend/Author Jim Burns called, Congratulations! You’re Gifted! A 15% OFF XP3 Code: Because of our partnership with Orange, Gold Members will get 15% of their lowest price. The best youth ministry curriculum offered at their lowest price yet. A live Q & A with Doug and Josh. On May 1, we’re going to have an hour of fun with Doug & Josh and Gold Members Only. Josh’s Favorite resource: Superhero Devotional. If you like superheroes and devotionals—this is the resource for you! Oh yeah, it’s reproducible too—make as many copies as you want. You’re welcome! FIFTY PERCENT OFF store prices! (DYM Members already get 35% off our store prices every day…but we thought we’d let you save even more on Gold Member Day! Our friends at YouthWorks heard about Gold Member Day and wanted to jump in on the generosity! They’re offering a code for $199 student registration for their summer mission trips! Last minute we added a deeper 1-day discount to DYMUniversity, too! Gold Members always save $50 on the DYMU YM101-401 Site License ($199 instead of $249). BUT we’ve made it more afforadable than ever to train your team: $75 off today ($174!) and only $99/year to renew. This code only lasts through tomorrow, so get on it! So, mark your calendars, synchronize your watches, set five or six alarms and keep an eye out for your GOLD MEMBER DAY email coming Thursday morning April 19. Get ready to download like you’ve never downloaded before! UPDATE: TODAY’S THE DAY! Login to your DYM Account and get to downloading! P.S. If you’re not a Gold Member yet… this is the best time to join! Sign-up today and get in on the action!